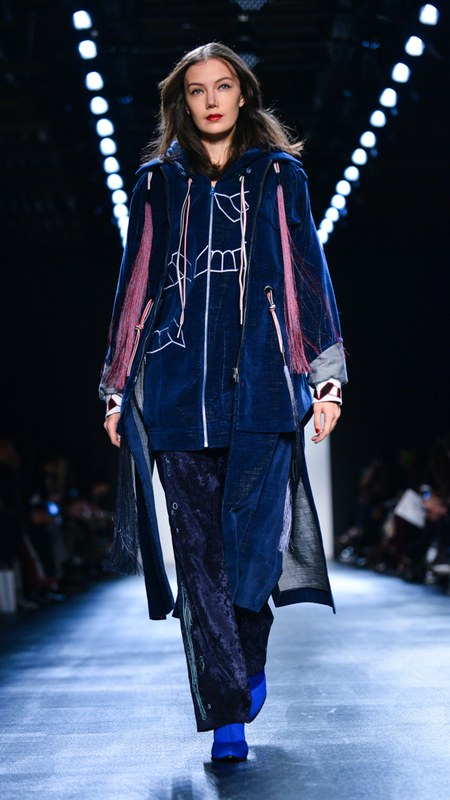 There’s nothing like a catwalk show. 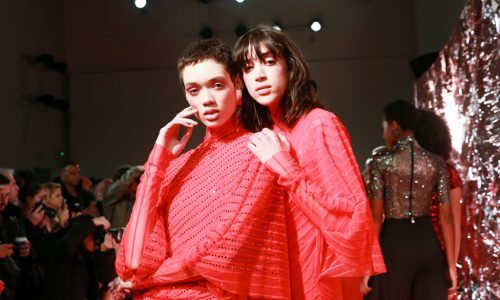 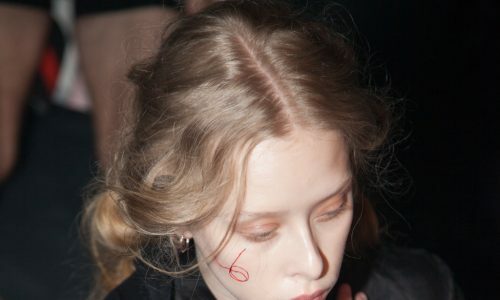 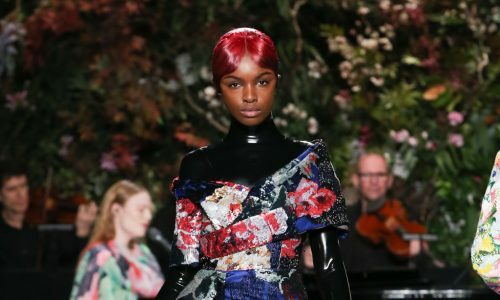 The Amazons that strut the NYFW runways are the ultimate professionals: you’ll hardly ever hear them complain about the sky-high heels, hefty headpieces and cumbersome accessories. 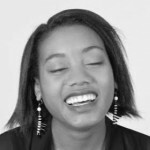 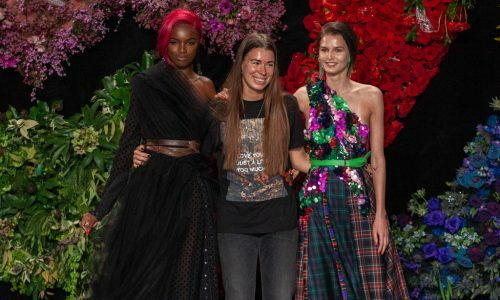 But when a designer’s work moves his or her subjects beyond merely being dressed to actually embodying their work, the excitement in the room increases tenfold – and it’s time to take notice. 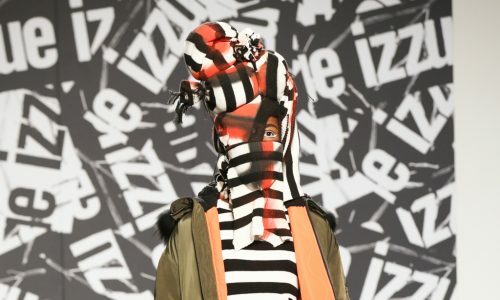 Such was the case with Concept Korea, a government-led initiative with an ongoing mission of increasing the global profile of Korean designers. 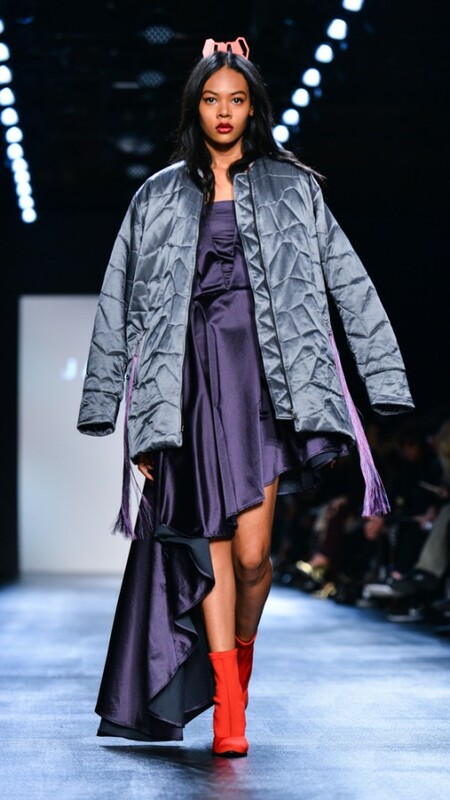 Showing at the Skylight at Moynihan Station, the project presented two powerhouse collections, both of which showcased chic and innovative womenswear. 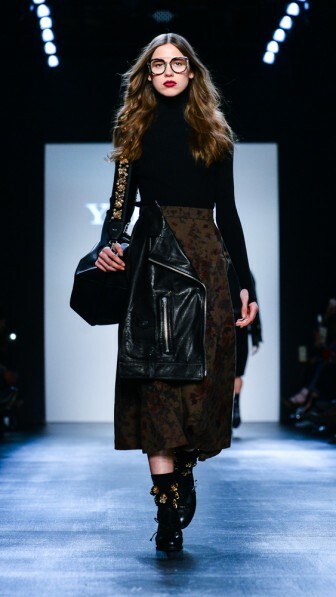 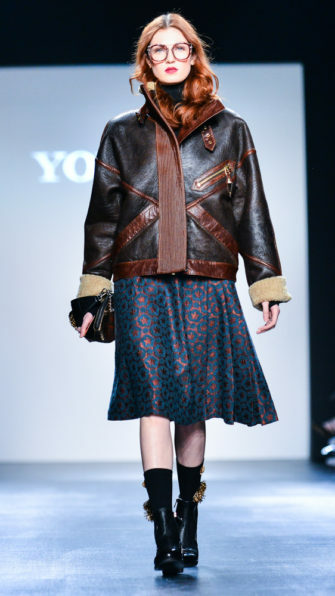 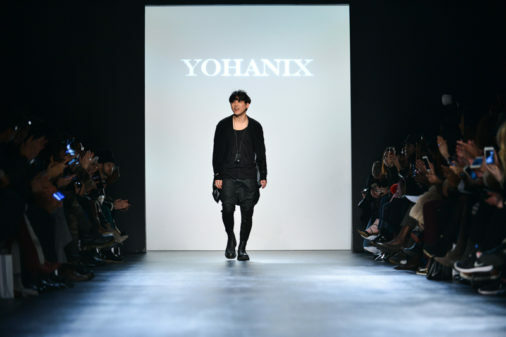 Yohanix, created by Tae-keun Kim, displayed a refined blend of luxury fabrics (cashmere, lambskin, tweed and suede), heavy detailing, classic silhouettes and urban trends. Deconstructed bomber jackets (particularly popular on the runway this season) followed impeccably tailored tweed duster coats. 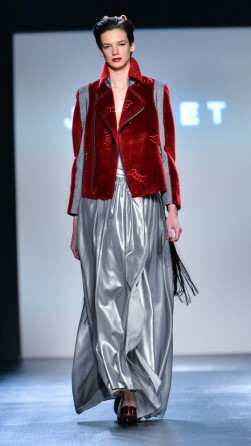 Sheer ruffled trousers paired seamlessly with a muted print blazer and choker necklace. 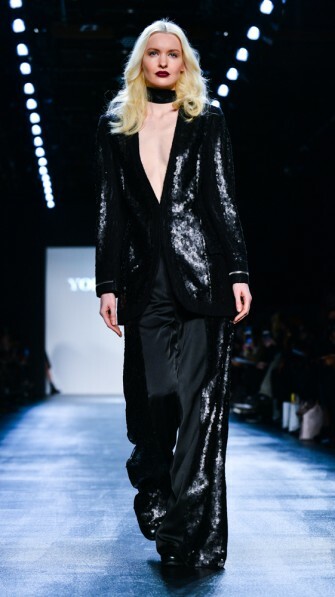 The impressive result deserves a new term – badass chic, perhaps? 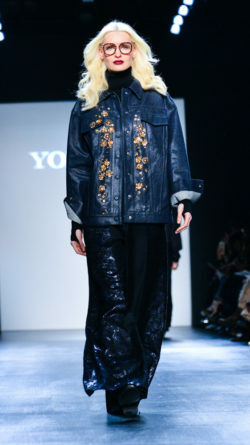 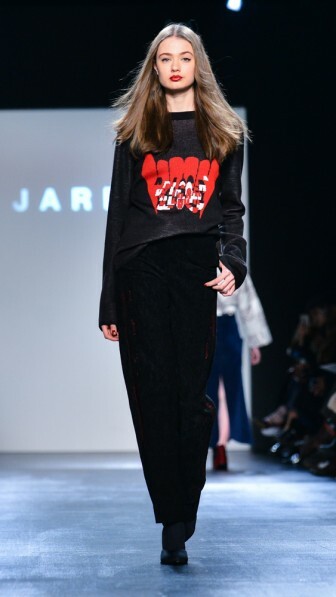 Jarret, presented by Ji-yeon Lee, maintained the sleek finish, but embraced a more eclectic aesthetic. 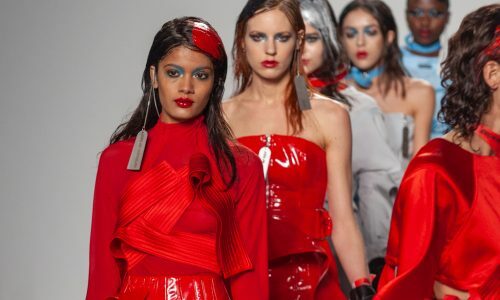 From the hot pink hair pieces, to the perfect mishmash of materials – wool, fur, lace and tulle – in vibrant reds, blacks and cool blues. 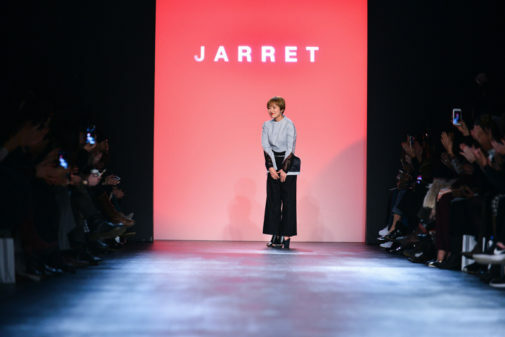 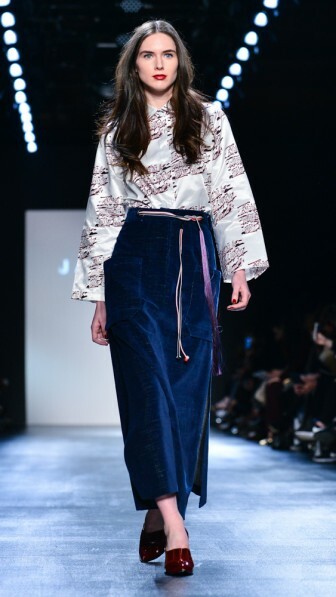 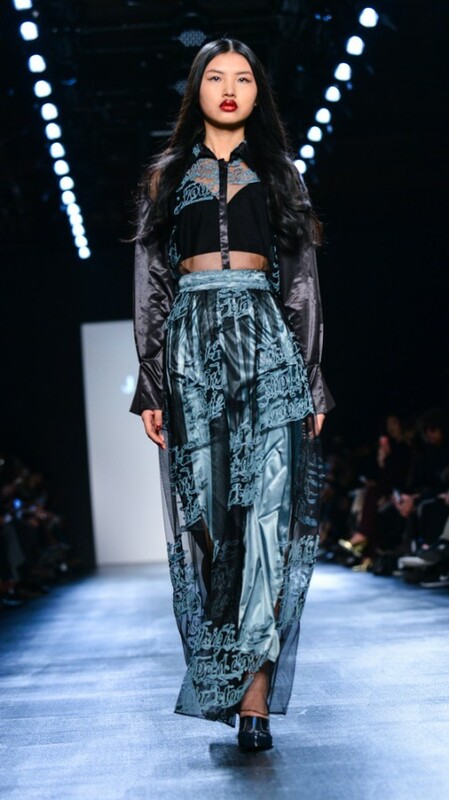 With a focus on separates, Jarret’s whimsical offerings featured a blue and black print dress with seductively sheer panels, and notable grey tailored cotton pants combined with a v-neck blouse with fur sleeves. 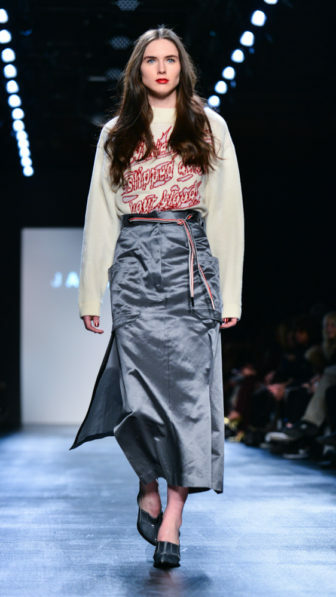 The collection was underscored with nineties fey; cute sweatshirts and tassel embellishments abound.